As soon as you log into your HetrixTools account you’ll see your Dashboard, which contains a summary of your account at one glance. Let’s discuss the panels one at a time for a better understanding. These are used to give you a quick idea of some of the very important aspects of your account, such as the number of active services/orders you currently have, the number of unpaid invoices your account has, number of tickets you have, and the number of contact lists in your account. Clicking any of these widgets will take you to the respective page in your client area. This panel contains your name, username, email address, and public key. The public key is used to identify your account without you having to share any sensitive information. 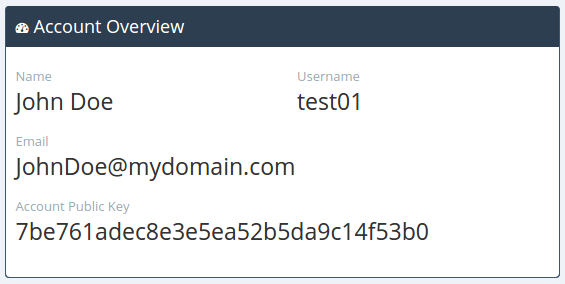 You can use this public key on a public forum for instance. Please note that when using our support desk you don’t need to provide your public key if you’re already logged in when opening the support ticket. 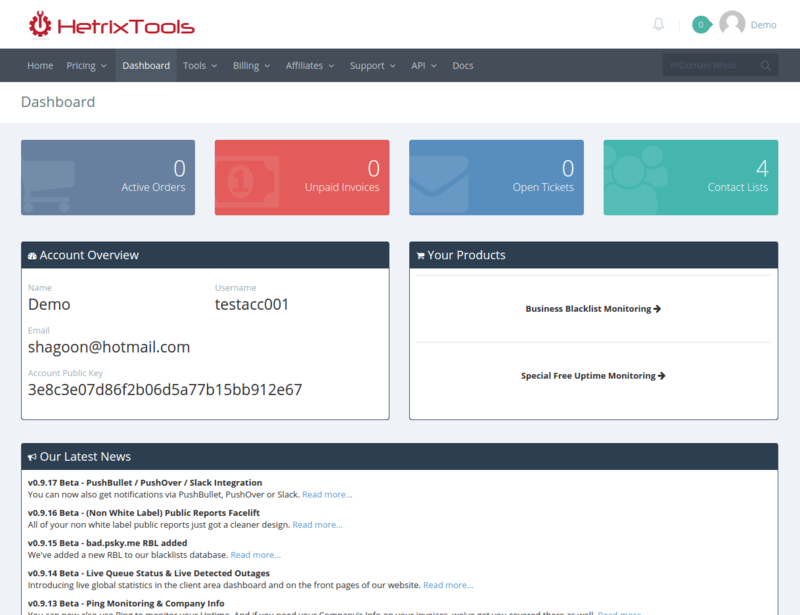 This panel shows essential information about your HetrixTools products and packages which your account is currently on. By default, you’ll be on the Free packages after you sign up for a new account. Clicking each product name will open a new panel with the product info. This is where you can always see at a quick glance our latest news regarding our platform. You can click the ‘read more…’ link if you’re interested in any of the news, and you’ll be taken to the full story. 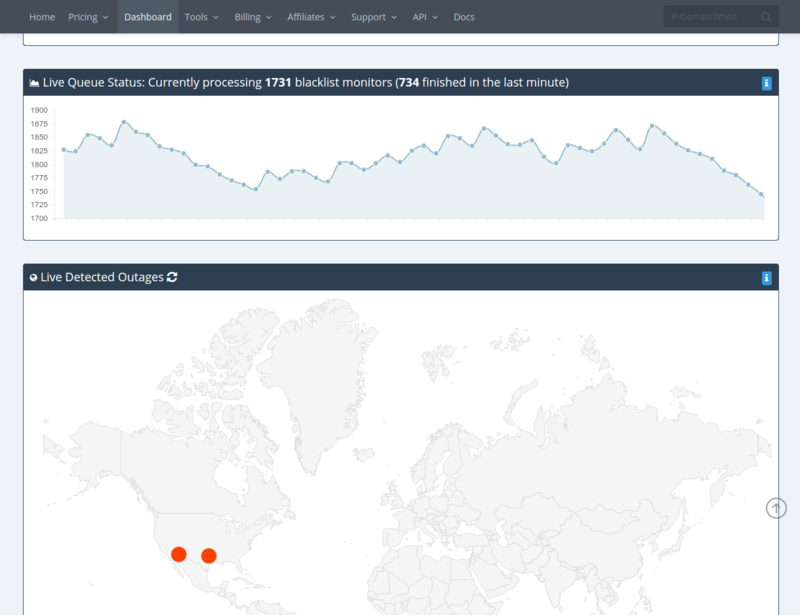 From here you can easily track your open support tickets, without having to go to the support desk. 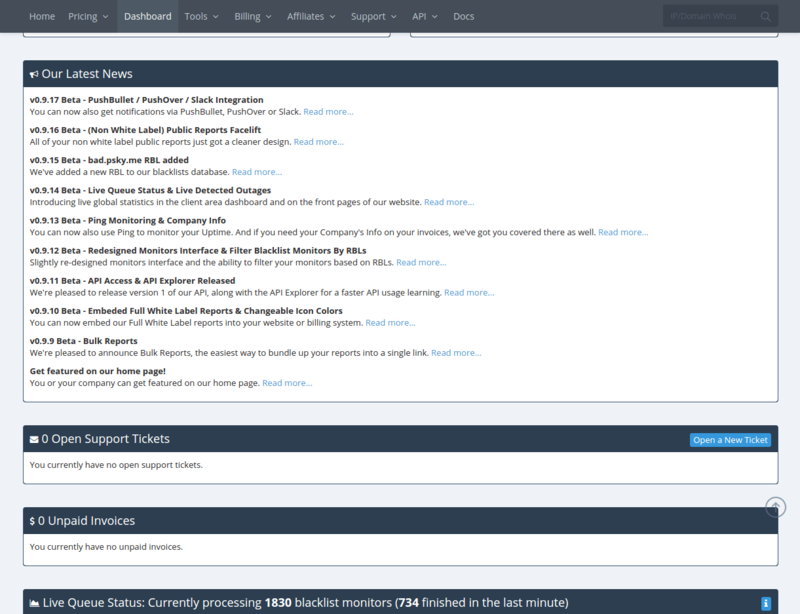 You can also just simply open a new support ticket right from your account dashboard. Here you’ll be able to see any unpaid invoices that your account might have.